Sources have said that Apple will ship Mac OS X Lion on July 14th. 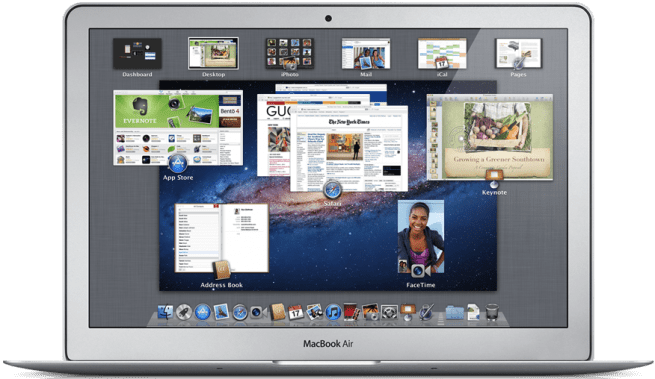 Apple has completed the main components of their first public release of Mac OS X Lion with the seeding of the Golden Master version of the product to developers. The release will come through the Mac App Store for $29.99. Another way to promote the App Store is by providing the Mac OS X Lion. Separately, a server version of OS X Lion will be available also through the Mac App Store for $49.99. With the Mac OS X Lion release, the MacBook Air may come with it. This has not been confirmed, but it is a little bit suspicious. Apple has been marketing the MacBook Air alongside with the Mac OS X Lion. Sources have said that this release date can be pushed back at Apple’s own will. One of the reasons that Apple may move the date back is because of last minute bugs. Last year, the iOS 4.2 had last minute bugs and Apple ended up pushing the date back. They seeded multiple Golden Master builds to developers until the software was perfect for its public release. Apple wants everything to be perfect so that they can keep their company in top form. What if one of the most anticipated features for the iPad 2 was a small switch? The small switch is on the new iOS 4.3 which re-enables the iPad orientation lock switch, which was temporarily turned into a mute switch in a previous iOS update. In the newest iPad update, it now lets you choose whether to have the side switch function as a rotation lock or as a mute button. Here are the steps to switch between the rotation lock and mute. If you’re wondering to why anybody would care about this, here’s some background information. Apple changed the rotation lock to be a software feature in the previous iOS. This caused the mute button to turn into the side switch. Many people were actually mad at this because it use to be very convenient to just turn the lock on without any hassle. Apple listened to the people and gave us the choice to turn the side switch into a rotation lock or mute button. How nice of Apple to make this change, if you think this is useful, let us know. Drop a comment and tell us if this affects you or if you think this matters at all. Game Center lets people play games against other people. In multiplayer games, you can play against people from all around the world. The Game Center app lets you expand your social gaming network. You need at least iOS 4.1 for iPhone and iPod touch users and you need iOS 4.2 for iPad users. Just tap the Game Center app, log in with your Apple ID, and you are ready to play. You create a Game Center nickname to help friends find you easier and once you are logged into Game Center, you’re always connected unless you decide to log out. You can look at the list of games supported by Game Center and you can launch it directly from Game Center. You also have the option to click the button “Find Game Center Games”, which takes you directly to the App Store and it shows you a list of games supported by Game Center. You can also add friends and when they accept your friend request, they are added directly to your friends list. You can view your list of friends and see your friend’s status and last Game Center game played. You can also view the leaderboards and achievements of your friends and compare. Auto-match also helps you find your friends if they are also looking for an auto-match, otherwise it will set you up with someone else from around the world. Game Center is a very useful app. You can prove to your friend that you are better at Fruit Ninja than they are. You can compare your achievements and see who the more superior gamer is. Games are much more fun when you play with others and Game Center makes that possible. Take advantage of Game Center and beat your friends. Don’t let them beat you! On November 22, 2010, Apple announced that iOS 4.2 is available today for download for iPad, iPhone, and iPod touch. iOS 4.2 provides the multitasking feature to the iPad. When you multitask on the iPad, you can juggle more then one thing at a time. Everything happens smoothly and efficiently. Multitasking works by letting you use multiple apps without slowing down the performance of the foreground app. The multitasking user interface allows you to easily switch between different apps that are in use just by double-clicking the home button to bring up a list of your recently used apps. You can scroll to the left or the right to view more recently opened apps and you can click one to reopen it. When you reopen the app, it continues exactly from where you left off. You can continue doing whatever you were doing with that app when closed it. You can also listen to audio while you are checking your email, surfing the web, and playing games. Multitasking is an extremely convenient feature. With multitasking, you can switch from one app to another with ease and be able to switch back just as easily. You can play one game and when you are bored of it, you can switch to another game. When you want to continue to play the first game you played, you just reopen it again. You can go on Safari, check your email, and continue where you left off on Safari. What do you think about multitasking? If you’ve been to the Apple website recently, you may have noticed the “iOS 4.2 is here” button under the huge Beatles sign. This seemingly insignificant link is actually a major, much anticipated update for the iPad, iPhone, and iPod touch. What’s so great about this update? Well, for iPad users, this update is the long awaited entry into the features introduced the the iPhone with the release of iOS 4.0. That’s right: Multitasking on the iPad. This popular iPhone feature finally makes it way to the iPad and, I have to say, I’m impressed. I have been waiting for this feature to appear on my iPad for a long time, and the wait is finally over. As I do not own an iPhone, I was unfamiliar with this feature, and was surprised at how quickly I learned how to use it and how helpful it really is. Folders, another popular iPhone feature, is also making its debut on the iPad. This allows iPad users to keep their apps organized in simple to use folders on the Home screen. This makes it easy to find your favorite apps, as well as prevents you from having to look through 5 pages of apps to find a calculator. Game Center, the iPhone/iPod Touch service that allows you to compete with your friends and see their scores on select applications finally makes its way to the iPad. Now you can finally prove that you are better at Real Racing HD or Flight Control HD than your friends! Sure, this is great for iPad users, but what about my iPhone? Well, there are also a couple cool new cross-platform features. The first of these is AirPrint, the new feature, integrated into specific apps, which allows you to print to any printer shared by a Mac computer. For example, to print a webpage in Safari, all you have to do is touch the button, then touch print. This feature first requires you to turn on printer sharing on a Mac computer, so it is pretty much useless for Windows users, but it’s still a pretty neat feature. A second new feature introduced in iOS 4.2 is AirPlay. This feature allows you to stream digital media wirelessly to your Apple TV. This means that you can instantly switch a movie you are watching on your iPad to your Apple TV when you return home from a trip, or blast your music from your iPod Touch out of your TV’s speakers from any room in the house. It also allows you to play movies and TV shows rented on your iPad or iPhone on your Apple TV, which was impossible to do before. This feature could boost sales of the Apple TV before and during the holiday season, as it adds new and helpful features and ties the Apple TV to Apple’s more successful products. Find My Device, a cool feature that used to be bundled with the MobileMe suite (which requires a $100 dollar per year subscription), is now offered on the app store for free if you update to iOS 4.2. Although this is incompatible with the iPhone 3GS, this app is very helpful if you misplace your iPhone 4 or iPad. Now you can search for text within Mobile Safari. This feature, although minor, is very helpful and I’m surprised it was not offered on previous versions of iOS. Overall, this was a very important update for the iPad, and added many new, long awaited features to every Apple iDevice such as printing and streaming to an Apple TV. AAPL was up 6.63 points today to close at $313.36 per share.